An Apple Watch Portable Charger brought so much convenience to all Apple Watch users. It provided an easier way to keep your watch with sufficient power all through, to provide a better experience. From henceforth, there’s no need to worry about leaving the house with insufficient power on your watch. 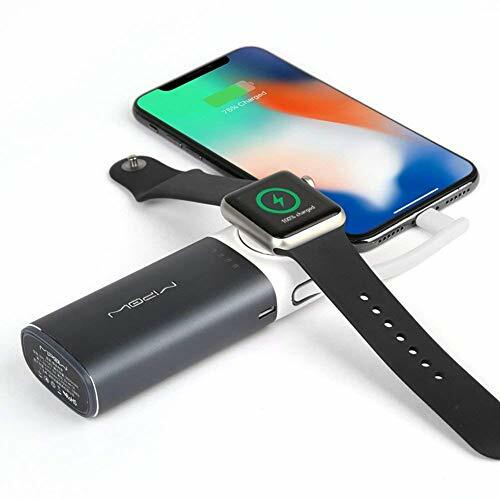 Below is a list of the best Apple Certified Portable Chargers for the Apple watch that will definitely interest you. With a built-in 700mAh lithium-ion battery, the Pantheon Portable Charger will charge the Series 1 Apple Watch three times and the Series 2 Apple Watch twice. This makes it really ideal for traveling and long business trips. Furthermore, it is lightweight and has a high-quality design making it easily portable. This product has been certified by Apple to meet all of their stringent quality and safety requirements. You can be sure of the compatibility and security of your watch while charging. The IQIYI is a good option to try out. It has an inbuilt Lithium Battery Capacity of 2100mAh that can charge your Apple Watch up to three times a day. Furthermore, its integrated magnetic charging module makes it ideal for all Apple watch models. It can also work as a power bank for any smartphone enabling you to simultaneously charge your phone and watch. This product is also Apple certified so you can be sure of quality at all times. In addition, it is designed with a flame retardant material that provides protection against over-current, over-voltage, over-heat and short-circuits. With an MFi Certified magnetic charging module, the UGREEN portable Apple Watch charger offers an original charging speed of about two and a half hours. Being certified you can sure of quality and safety for your device. It is also designed with a multi-project safety system that ensures complete protection against a fire outbreak, over-current, over-voltage and short-circuit. This model is equipped with a 2200mAh battery that can simultaneously charge an Apple Watch three to four times. It also provides a charging alternative for your iPhone to enable you to charge your devices at the same time. 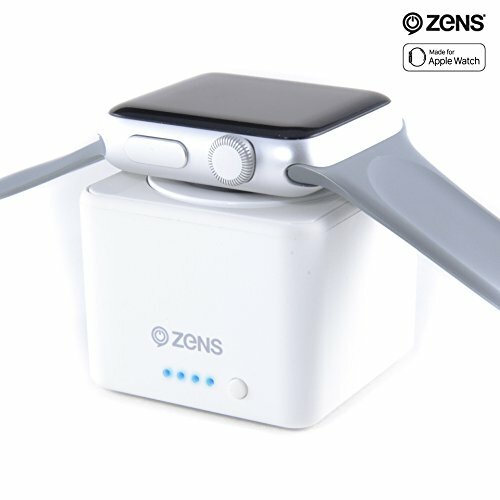 ZENS Wireless Charger Power Bank for Apple Watch enables convenient, cordless charging at home and on the go. The pocket-sized charging puck stores 1300mAh which can charge your Apple Watch up to three times on the go. 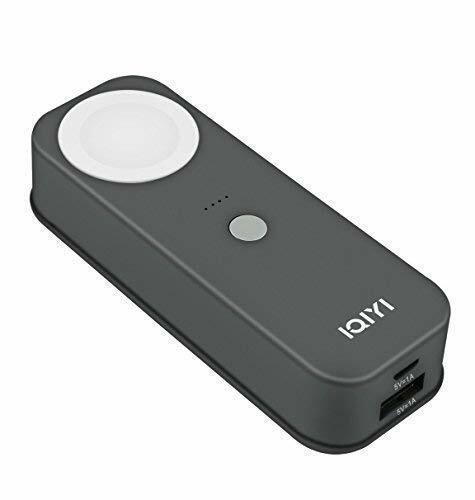 At just 1.5 inches wide, this charging puck is super compact and allows a truly cord-free charging experience on the go. The model is Apple certified and ensures the safety of your device at all times. Additionally, it is easy to use. Simply drop your Apple Watch on the charging pad and your watch will wirelessly charge. Works great with all Apple Watch Series. This is another great option to choose. With a battery capacity of 6000mAh, the MIPOW Portable Charger can charge up to 10 times for your Apple Watch. It also provides fast charging of only two to three hours to full charge. Additionally, it has a 2 in 1 charging ability, where you can charge both your watch and iPhone together. This product Apple MFi certified and has a built-in charging protection circuit to ensure safe charging at all times. Moreover, it is lightweight making it easily portable. This makes it ideal for outdoor activities and traveling. 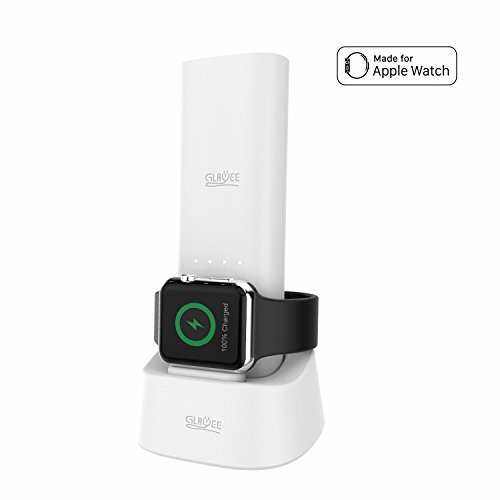 With a unique 3 in 1 function, the Glawee Portable Charger can charge your Apple Watch, smartphone and act as a nightstand for your watch during the night. 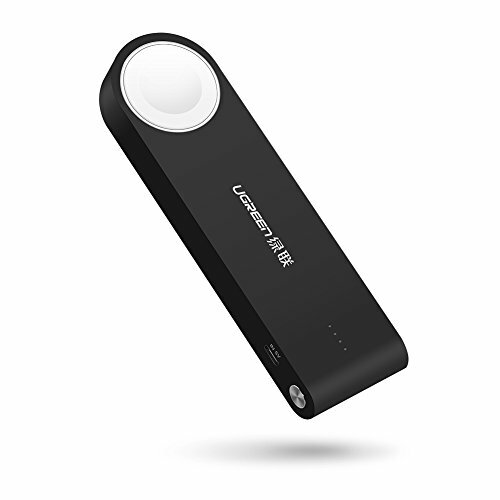 It has a powerful inbuilt lithium battery of 5000mAh that can charge both your phone and watch at the same time. Moreover, it can recharge your Apple watch up to six times individually, and 1-2 times for your iPhone. This model uses the latest safety protective tech for your Apple Watch to secure your devices from over voltage, over current, over power, overheating and short circuit. 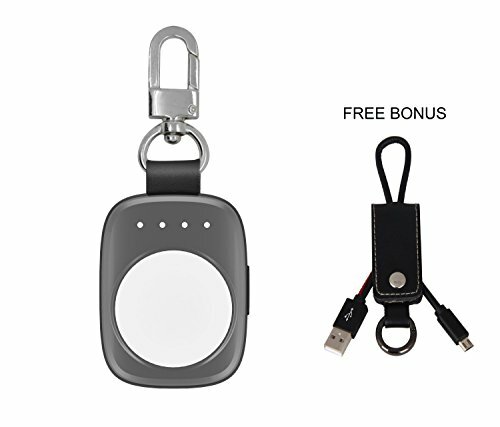 This ensures that your watch and iPhone are safe during charging. The Pawaca Apple Watch portable charger is small and lightweight making it easy to slip it in your pocket or carry it in your backpack. It also has a key ring that enables you to use it as a key-holder. This makes it ideal for travel purposes, school, and business trips. In addition, this model has a battery capacity of 950mAh that can recharge your battery two to three times after being fully drained. 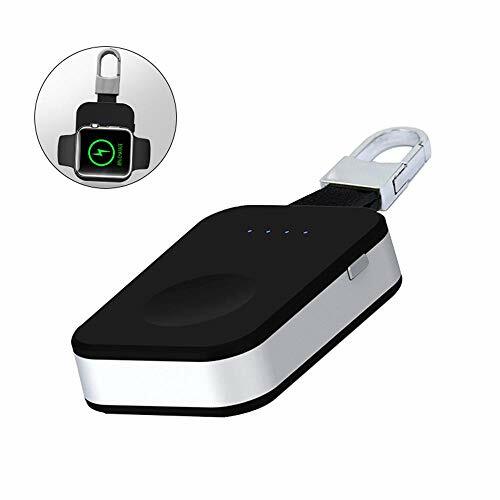 Moreover, it is designed with four LED light indicators that show you the amount of battery power remaining in the portable charger.